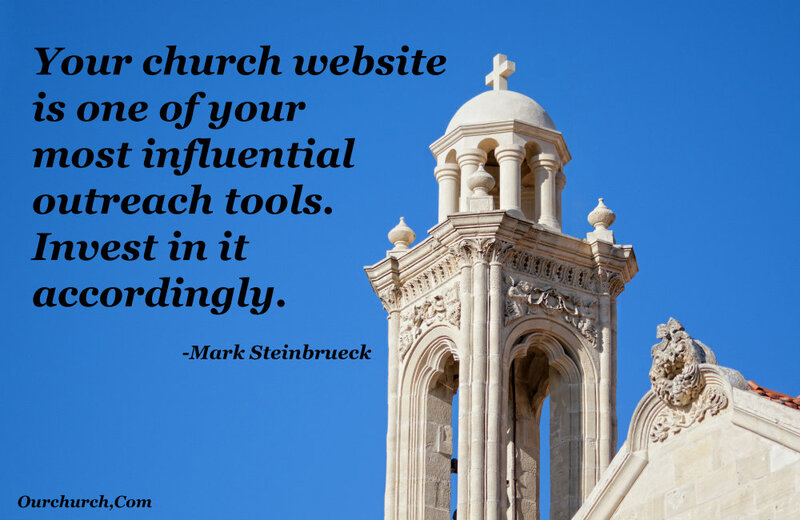 Your church website is one of the most important components of your church’s communications. Most people will visit your website before they visit your church in person for a worship service. And most of your church members look to your church website for information about upcoming events, serving opportunities and ways to grow their relationship with God. Every church website has to be hosted on a server that’s connected to the Internet, but what exactly is church web hosting? And with so many web hosting providers out there, how does one decide which church web hosting services are best for their church? These are good questions a lot of pastors and church communications struggle with. There is a lot of information online about church web hosting, much of it is written by techies for techies using a lot of technical jargon. In The Ultimate Guide to Church Web Hosting, we’ll help you understand everything you need to know about church web hosting in plain English. From this, you’ll be able to evaluate both your congregations web hosting needs and the various web hosting services available, so that you can be confident in selecting the church web hosting services that are best for your church. 1. What is Church Web Hosting? Every website resides on a server. A server is a computer that is always on, always connected to the internet, and always ready to send web pages (and other website information) to anyone who requests it. A web host or web hosting company is the company that manages the server, makes sure it’s running well, makes updates, and addresses any questions or issues the website owner has. Web hosting or web hosting account is the service provided by the web hosting provider (also sometimes called a web hosting company). Church web hosting is a web hosting service specifically designed for church websites. To use an analogy, if you wanted to open an ice cream shop, you would need to rent a storefront in a shopping plaza from a property manager. For a website, the server is like the shopping plaza, the web hosting account is like a storefront in the shopping plaza, and the web hosting company is like the property manager. How to Choose the Best Church Web Hosting? Imagine for a moment you rented a storefront for your ice cream shop, and then the power kept going out, the lock on the front door broke, and customers for the other shops in shopping plaza used up all the parking spots keeping your customers from getting to your shop? Imagine how you would feel if when you tried to call the property manager, he was rude, or unhelpful, or didn’t answer at all? Your web hosting company can literally make or break your website. From this point forward, each section of the Ultimate Guide to Church Web Hosting takes a look at a factor to consider when selecting the best church web hosting provider for your church. The platform you want to use for your church website has a big impact on web hosting. What is the platform for a church website? The platform is the technical term for the system use to build a website. While there are many website platforms to choose from, the first thing you have to decide before building a new website is how you want to build it. There are three approaches. These approaches apply for all organizations, but we’re going to focus here on church websites. 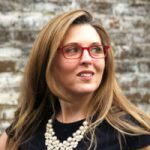 You kind of know what you want your website to look like and do, but you’d like a professional to guide you and make recommendations based on your church’s unique mission and culture. You don’t know a lot about websites and don’t want to risk building a website yourself that might end up looking poor, giving visitors a poor user experience, or, having security issues. Of course, since this option includes hiring a professional, it’s also the most expensive option, but as long as you select a good website developer, you are almost guaranteed to end up with a website that looks good, functions well, and doesn’t sidetrack you from all the other important work you have to do. 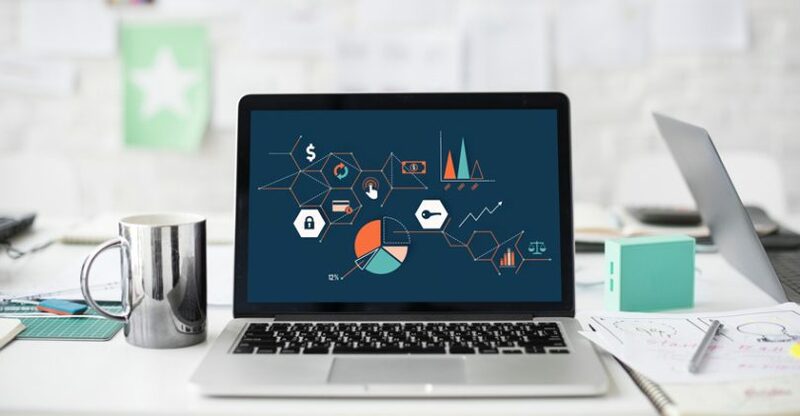 When it comes to web hosting, some website developers also provide web hosting, some have a partnership with another web hosting company, and others ask their clients to get a web hosting account on their own before development starts. 2) Purchase web hosting and build your own website from scratch. Designing and building your own website from scratch can be the least expensive approach if you know what you’re doing. This has also gotten a lot easier since the early days when this required coding everything yourself in HTML. Today, a person can install a content management system like WordPress, install a free or inexpensive theme, and install dozens of plugins to get the functionality desired. It is still rather time-consuming, though, and you’re on your own. Your web hosting company may provide support for a lot of things, but they are not going to help you fix problems with a website you built. Also, if you build your website from scratch, you are responsible for making all the updates and keeping it secure. Tip: Don’t put your church at risk by making your church’s website the first website you ever build. Your church’s mission and communication is too important! Build a website for your family or a hobby first to work out the kinks and make sure you can do it well. Church website builders offer a powerful, affordable middle option between hiring a professional and building a website from scratch. The downside is they don’t offer as much flexibility and options with the design (theme) or functionality. But for most churches, a website builder allows them to do 95% of what they want, and that’s worth the time and cost savings. Companies that have a DIY website builder service, include the website builder and the hosting together in one package. 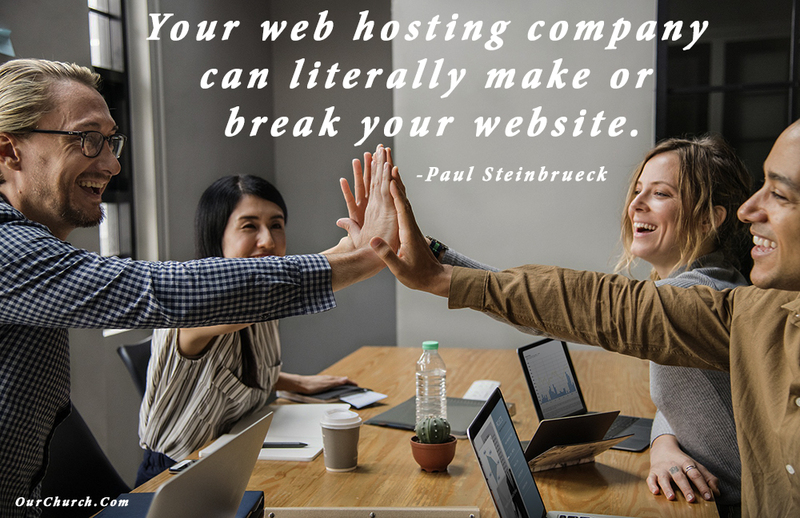 It’s worth noting, however, that you usually can’t move a website built with a web builder to another web hosting company. And some DIY website companies don’t give full access to the web hosting account, so you may not get FTP access (file transfer protocol), be able to edit your .htaccess file, or get email accounts (sorry to get a bit technical there). Tip: Decide first what your website absolutely must have (functionality and aesthetics). Because DIY web builders have limitations, research whether each web builder you’re considering meets each of those requirements. Once you decide which of these three approaches is best for your church, then you can look at the options within each approach – which church website developer to hire, which church web hosting service to use, or which DIY church website builder to use. What are disk space and bandwidth? Disk space is the amount of space in a web hosting account for storing files. These files may include images, text, audio, video, software and even email. Bandwidth is the maximum of data allowed to be transferred each month to and from a web hosting account. For example, if you have an mp3 audio file for a sermon in your web hosting account which is 20 MBs, it takes up 20 MBs of disk space. If that sermon is downloaded or listened to 100 times in a month, that uses 20 MB x 100 = 2,000 MB or 2 GB of bandwidth. How much disk space and bandwidth do I need for my church website? Generally speaking, documents, images and software use very little disk space or bandwidth. The only things that use significant amounts of disk space and bandwidth are audio and video. If you don’t plan to have any audio or video on your website, any web hosting account will meet your disk space and bandwidth needs. If you plan to store less than 5 years of sermons in your account and combined those sermons will get more than 1,000 downloads/listens a month, any web hosting account will be fine. However, more than that, and you should do some calculations to estimate how how much disk space and bandwidth you’ll need and make sure the web hosting package you select meets that need. If you plan to plan to store a few videos in your account, any web hosting account will be fine. However, if you want to store videos of each week’s sermon or full service, you’ll definitely need to run some calculations to estimate your disk space and bandwidth needs. Alternatively, you may want to consider a video hosting service like YouTube or Vimeo. For more specifics, you can find disk space and bandwidth calculations here. Some web hosting companies and some DIY web builder companies, will tell you they provide “unlimited disk space” or “unlimited bandwidth” with your account. But that is just not possible. If you tried to run a video streaming service like Netflix from a $10/mo web hosting account or a $20/mo DIY web builder account, they would shut you down. If you plan to host a lot of sermon audio or some sermon videos and one of the church web hosting providers you’re considering offers “unlimited” disk space or bandwidth, we highly recommend contacting the company and asking for specific details on the limits. 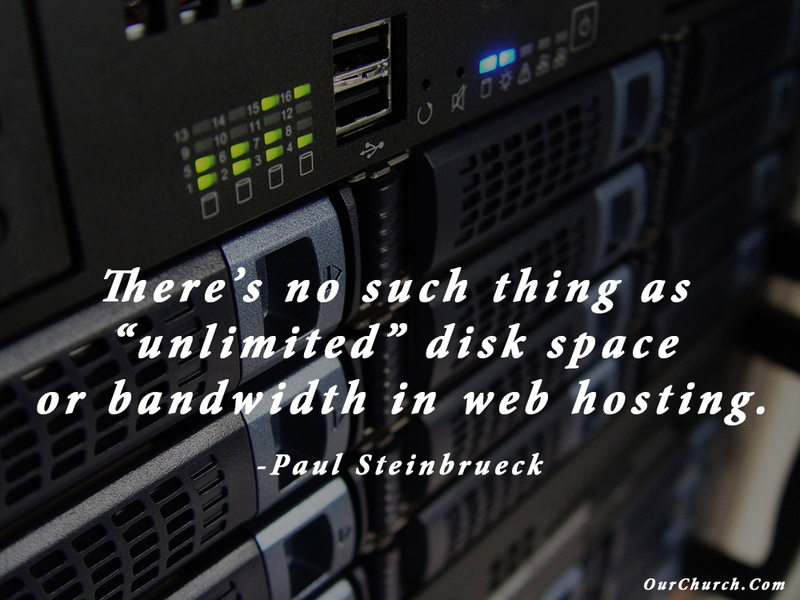 There’s no such thing as “unlimited” disk space or bandwidth in web hosting. “Unlimited” just means they won’t tell you at what point they will shut your account down or make you upgrade. 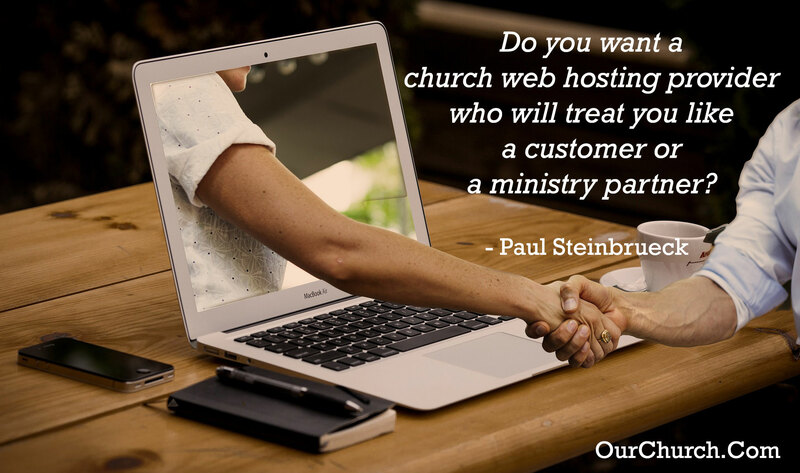 With Church Web Hosting, there’s one thing nobody thinks they need… until they desperately need it. These are not hypothetical situations. These things actually happened to clients of ours. Fortunately, because we provide automatic backups every night, we were able to restore all of these church websites within a few hours. 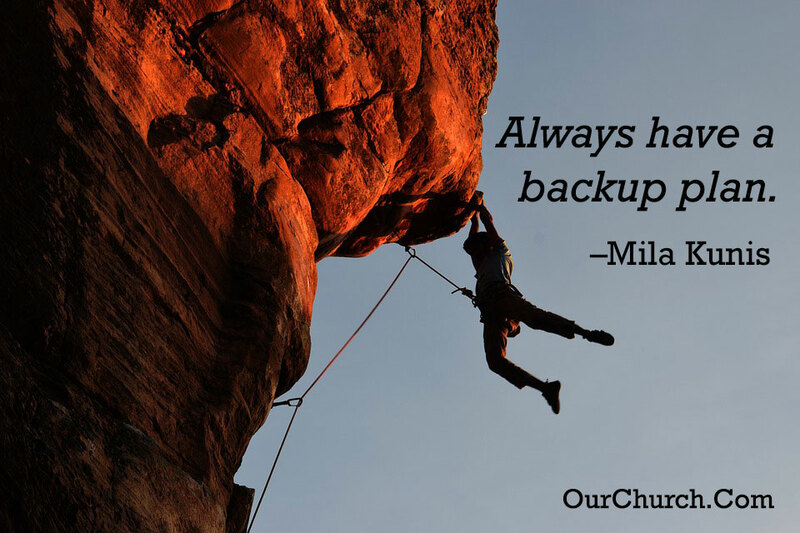 If you invest thousands of dollars in a custom church website or dozens of hours building your church website yourself, it would be a shame to lose all of that because there was an incident and you had no backup of your website. 4) Update Your Website to HTTPS. Once the SSL certificate is installed and working, your website will be accessible at https:// URLs. However, the menu and other links on your website which were originally http need to be updated to https. 5) Redirect http to https. Even after you update the links on your website to https, the pages of your website will still be accessible at the old unsecure http URLs. To stop this, some code should be added to the .htaccess file to redirect all http URLs to https. Some web hosting providers help with steps 2 and 3, but very few help with steps 4 and 5. 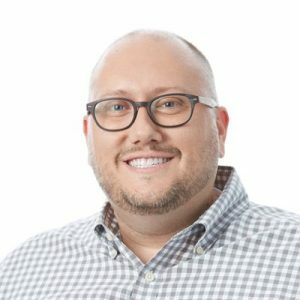 When deciding on a church web hosting company, consider whether you want to go with a company that offers a “full service” SSL certificate, where they take care of the configuration, verification, installation, website update and redirect, or whether you are OK with doing all of those things yourself. 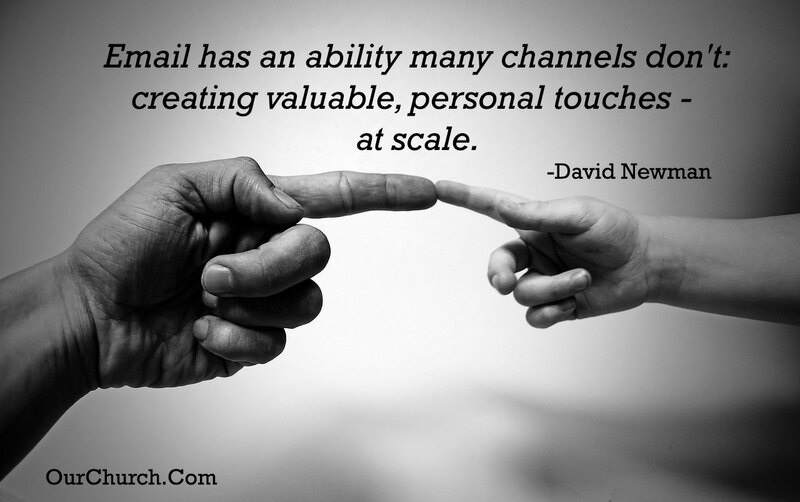 Email – it is still the most reliable form of mass communication. After providing web hosting for more than 2 decades, we can tell you that email accounts are the most problematic, frustrating and time-consuming component of web hosting services. There are just so many moving parts – the user’s computer, email software/tool, spam filters, ISP, email account on the server – that setting up email accounts and fixing problems can be very challenging. For this reason, many web hosting companies have started charging extra for email accounts (Sqauarespace, Wix), and some don’t offer email services at all (Clover, MyChurchWebsite). 1) Every man (and woman) for him/herself. Every person gets their own email account with Gmail, Yahoo or whatever service they like best. This is the easiest option, however, the downside of this is it lacks branding and authority. If a person visits on a Sunday, it looks much more organized if they get an email the next day from PastorBill@MyChurch.org than PastorBill007@gmail.com. You also don’t have the option to setup accounts like info@MyChurch.org or youth@MyChurch.org for specific purposes or ministries. 2) Specialty email services. Some companies have developed email services that are independent of web hosting. These include G Suite by Google and Office 365 by Microsoft. I don’t know about Microsoft, but Google has a program in which it makes G Suite available for free to nonprofits. This is a good solution if your church is a registered 501c3 and you’re willing to go through the application process. 3) Web Hosting with email. This is the traditional solution where email services are included in the web hosting solution. There’s no one email option that is best for all churches. However, you need to decide which option you church is going to go with, and if you want your church email accounts to be handled in your web hosting account, you need to make sure your web hosting account includes email. 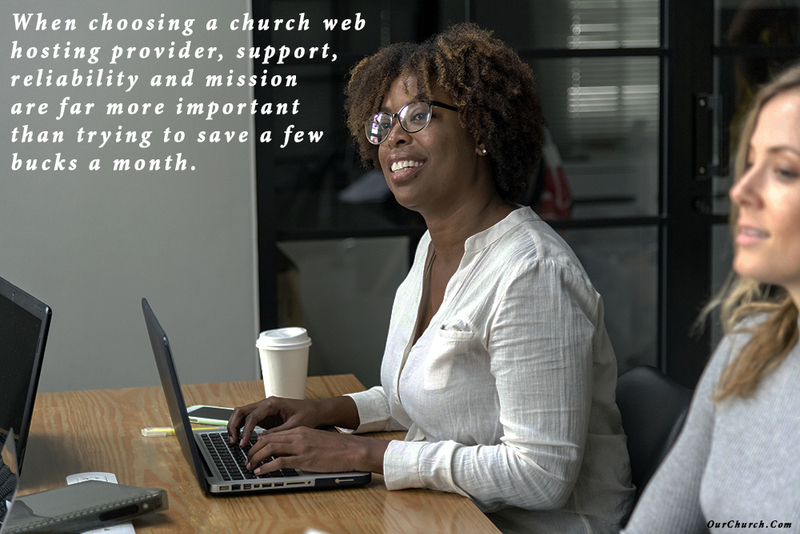 After you’ve whittled down the list of possible church web hosting providers by looking at the factors we’ve discussed so far – platform, disk space, bandwidth, backup, SSL support, and email – you’re still going to end up with dozens if not hundreds of viable options. 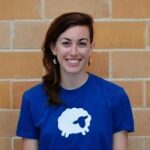 What support methods do they offer? Every web hosting company provide support via email or help desk, but what about phone support? What about live chat? If one or both of those are important to you, make sure the web host you choose offers that. When is support available? It’s important to make sure your web hosting provider is available when you need support. Some web hosting providers say they offer 24/7 support, but that could be only for certain methods of support and not others. Who provides the support? Just about everyone has had a nightmare customer service experience where they called a company and got routed to a call center in India where they had a very frustrating conversation with someone who didn’t speak or understand English well. If that’s a concern, make sure the church web hosting provider you select, has only native English speakers providing support. What are their ratings? Another thing to check is what do their current and past customers say about them? Check online reviews and ratings. 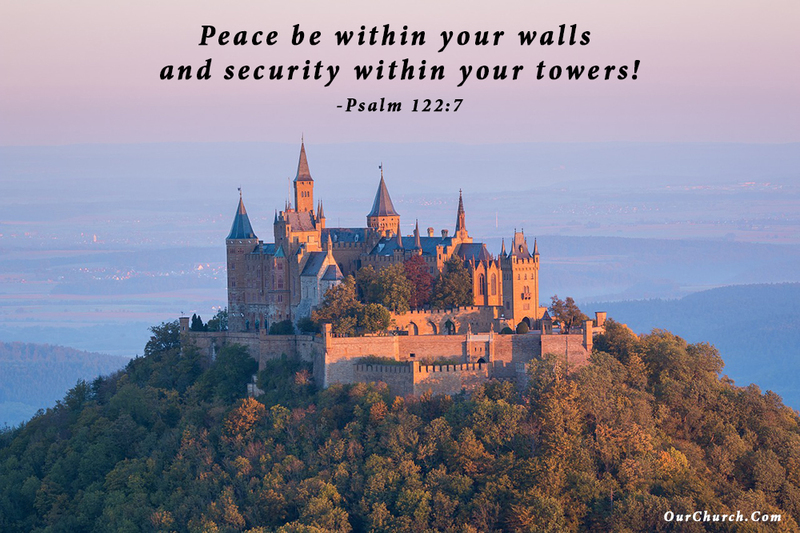 An even better option is to talk with a church web hosting providers clients. Find out what their experience has been like and if they would recommend them. Do you want just a transactional relationship with large company whose primary objective is to make money for its owners/shareholders? Or do you want a ministry partnership with an organization of fellow believers whose mission is to advance the Kingdom of God by helping you live out your mission online? A ministry partner is staffed with Christians who understand the needs, challenges, ministries and mission of the local church. A ministry partner goes above and beyond the normal reactive support, proactively initiating support when they notice there’s an issue, and even offering free insight and recommendations that will help your church be more effective in its communication and online outreach. 9. How Much Does Church Web Hosting Cost? At the beginning of this Ultimate Guide we compared web hosting to renting a storefront for an ice cream shop. Asking how much church web hosting costs is kind of like asking how much it costs to rent a storefront. Platform – If you build your website using a DIY website builder, your web hosting service provider has to not only provide support for the server and hosting account but also for the website builder. For this reason, prices for DIY website hosting services are usually higher than if you just get hosting and build your website from scratch. 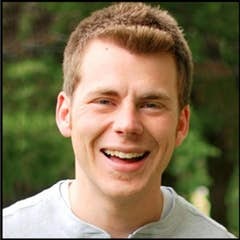 Yes, you can get free church websites at places like Wix, Weebly, and even with us a OurChurch.Com. But they lack a lot of significant features and support that are crucial to helping your church succeed online. Some web hosting providers do offer full-blown web hosting services for free to 501c3 nonprofits who go through the application process. Most web hosting services that don’t offer a website builder cost in the neighborhood of $5-$15/mo. Those that support a DIY website builder tend to be in the $15-$25/mo range. Most of them also offer significant discounts if you pay annually. What if you now want to switch to a new church web hosting provider? 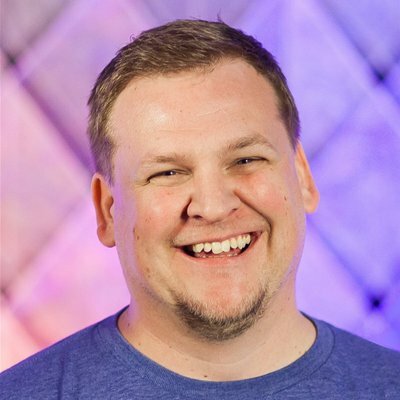 This is an extremely important question, because if this is not done right your website could go down for long periods of time, you could lose content, and if one important step is neglected you could ruin your church SEO and lose your search rankings! This is a big topic and could have an Ultimate Guide all on its own, but we think understanding the transition process could impact which church web hosting provider is best for your church. So, here’s an overview of the process. 2) Build/install your new website. If you’ve decided to switch to a DIY website builder, you’ll need to go through the initial website building process and select your theme. If you’ve decided to build a new site from scratch, you’ll need to install the software for your content management system (WordPress?) and install your theme. If you’ve decided to have a web developer build a new custom site for you, they’ll take care of this for you. If you have a website you can move to your new web hosting account, you can skip this step. If you’re building a new website with a DIY website builder or from scratch, this involves copying text from pages on your old site into your new site as well as downloading images and other media from your old site and uploading them into the new site. If a web developer is building your website, you’ll need to send content from your old site to the developer or at least include links to all the content you want copied to your new site. If you have a website you can move to your new web hosting account, you will export the database, zip up the old site into one big zip file, upload that file into your new hosting account, unzip it, and import the database. 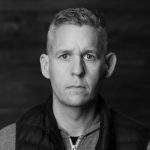 One of the most often overlooked steps in transitioning to a new church web hosting provider is setting up “redirects” from the URLs of your old website to the URLs of your new website. Now if you’re moving your entire website, and the URLs of all of the pages will remain exactly the same, this is not necessary. However, if you are building a new website (or a web developer is doing this for you), the URLs of your pages will change. If you don’t setup 301 redirects, search engines that have the old URL, websites that link to the old URL, and people who have bookmarked the old URL will get an error when the new site goes live. Additionally, your search rankings will drop because all the old URLs that had good search rankings no longer exist. Setting up a 301 redirect pointing each old URL to the corresponding new URL, will automatically redirect search engines and visitors to the correct page on the new site. The redirects also help search engines to attribute the same search rankings the old URLs had to the new URLs. This step is what points your domain name to your new website and makes your new website live! In some cases, if your existing site has an SSL certificate, it can be “re-issued” to the new server, but it depends on the SSL. Sometimes they can’t be transferred, in which case, a new SSL needs to be purchased, configured, and installed. 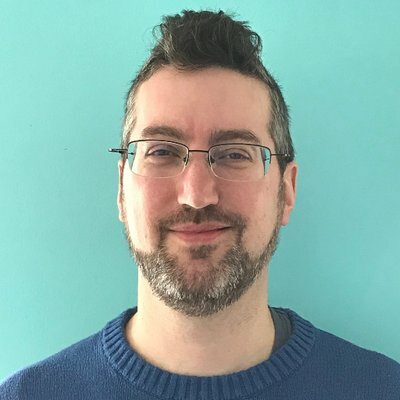 You should test as much as possible before launching the new site, but some things can’t be totally tested until your domain name is pointing to the new site and its live. If you’re not super technical, this process probably sounds complicated and overwhelming. To be honest, it can be. 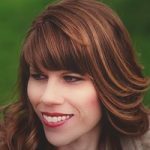 Which of these transition steps will my new church web hosting provider help with? The Ultimate Guide to Church Web Hosting was written by the OurChurch.Com team which has been helping churches, schools, nonprofits and businesses live out their mission online with church web design, church web hosting, and church SEO since 1997. 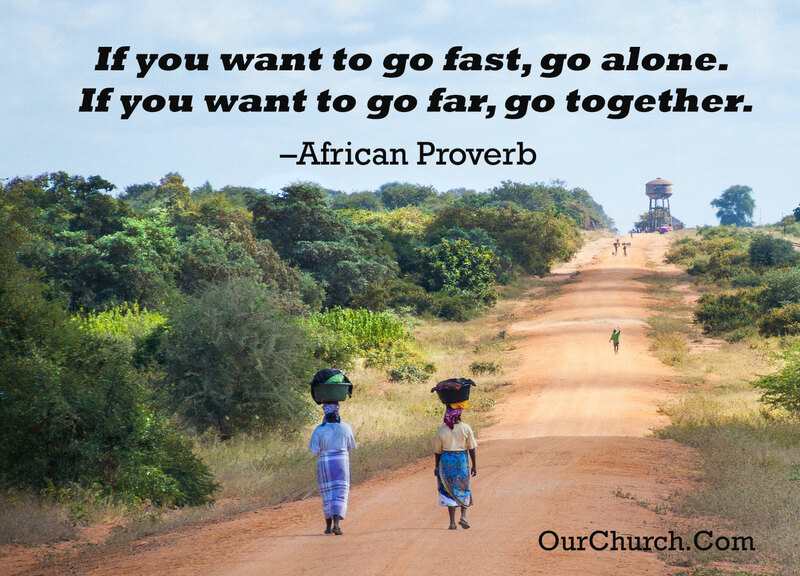 We would love to work with your church and help you live out your mission online!